Flexible PCB connection to connect two rigid PCB's | Flickr - Photo Sharing! 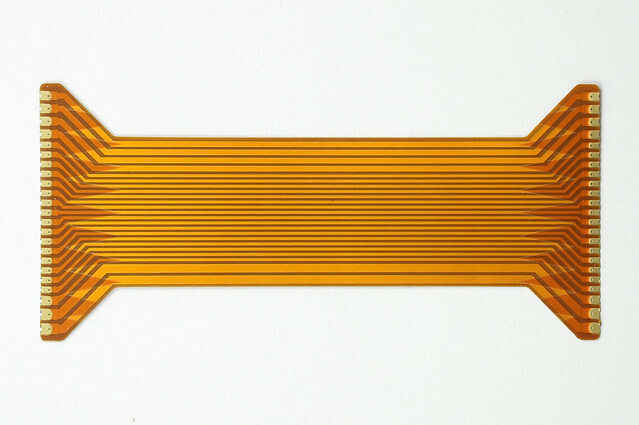 A flexible PCB designed to connect two rigid PCB's. One layer is dedicated to providing a tapered strain relief. This prevents 'folding' at stress points. Also has castellation style connection ends and through-vias to allow easy soldering.